Royal dressing protocols might be relaxed with every generation, but there are certain styling rules that are observed religiously by every member of the household. The main one is wearing bright, noticeable colours, so as many people as possible can spot them in the huge crowds. "I have to be seen to be believed," the queen once said, and it's a mindset she seems to have shared with every other senior royal. Seeing as it's part of their job to wear "look at me" colours, the royal family often wear trending hues first and thus provide plenty of ideas for how to wear bright hues. This season is no exception: Princess Diana was a fan of wearing head-to-toe beige and the now-trending pistachio green, while the queen wore neon brights before they became a Kardashian-Jenner signature. When it comes to colour trends this spring, there's one boring hue that's dominating: beige. Princess Diana did tonal dressing before the phrase "tonal dressing" was adopted by fashion editors, wearing stone-coloured linen suits with tan shoes and handbags. You'd be forgiven for thinking that the Kardashians or ASOS Insiders were the first to brave wearing neon, but in fact, Queen Elizabeth II has been wearing fluoro shades for years. Yellows are starting to emerge as the unexpected key colour of 2019, with pieces in soft buttermilks and bold marigolds cropping up everywhere. Powdery Cinderella-style blues have been trending since September, and this has long been a popular hue for the royal family, as both Kate Middleton and Princess Diana both wear this colour. The royal family often lean on bright, bold colours to stand out in crowds so people get a glimpse of them on tours and official visits. In fact, Queen Elizabeth has been wearing this pink colour for decades. Whether you call it sage or pistachio, this soft shade of green is one of the most-liked colours of the season. 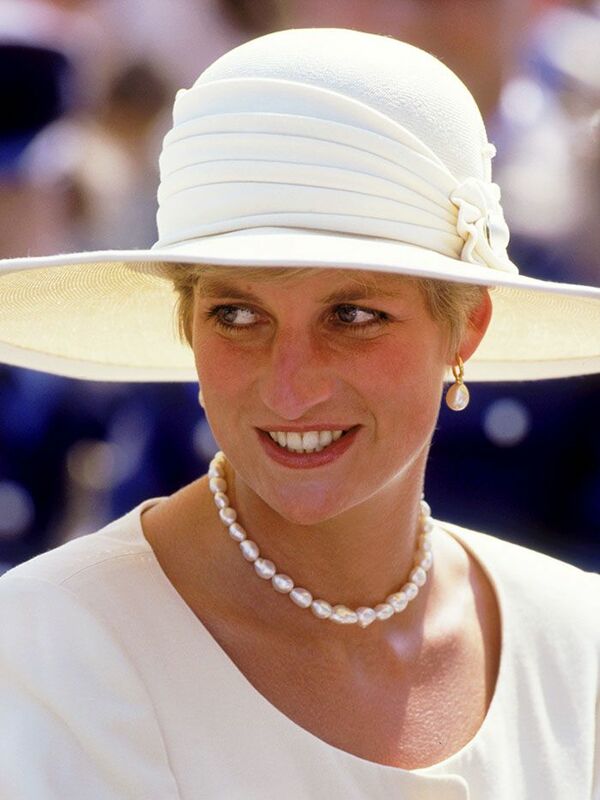 For inspiration for how to wear it, look no further than Princess Diana. Next up, see the key trends for spring/summer 2019.